One of the first San Diego County projects funded by the increased gas tax gets underway Monday in the South Bay. 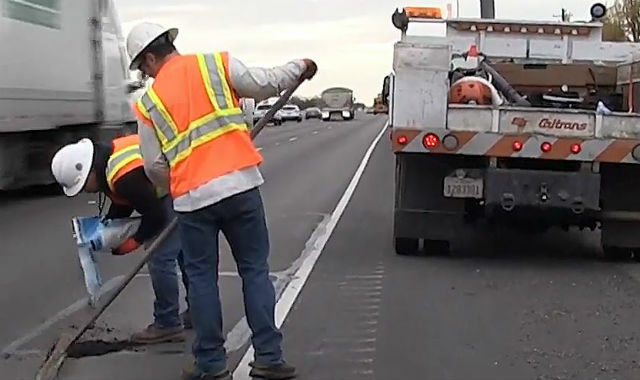 Caltrans is starting work on a $5.3 million project to replace pavement and make other repairs on Interstate 5 from Camino de la Plaza in San Ysidro to L Street in Chula Vista, and on Interstate 805 from Palm Avenue to 18th Street in National City. Work will take place Sundays through Thursdays from 9 p.m. to 5 a.m. with some weekend work as needed. The project is expected to be completed in the fall. SANDAG, which is coordinating local gas tax projects, has reported that a total of $867 million is earmarked for road repairs and transit improvements throughout the county. More information about projects funded by Senate Bill 1 is available online.